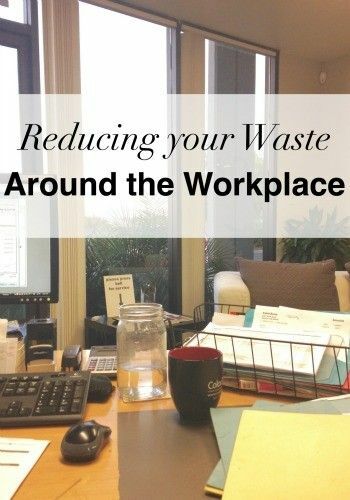 to talk about reducing your waste in the workplace. I’m a professional actor, but I also work at a green print shop. Being and actor is a whole different beast, so I want to focus on your basic work environment. Where I work we have several desks, a small kitchen area, a water fountain, and a bathroom. I imagine at one point in time most of you have worked in a similar environment. So, here’s my top ten tips for you. 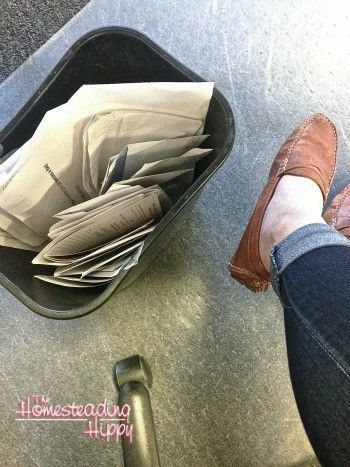 recyclable, I’m sure there’s a trash can nearby – maybe in the hall? at my desk and far too distracted to do that. Invest in a larger cup, so you’re still drinking lots of water. Same thing applies for the coffee machine. I’ll typically have a cup of coffee or several cups of tea. THIS. 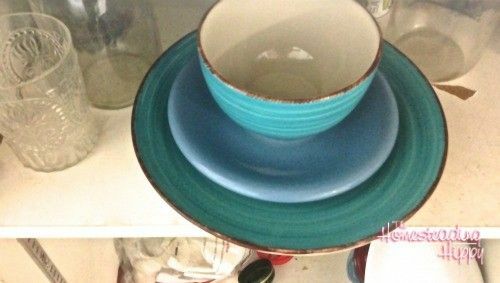 In our little kitchen area, I have a couple of plates, bowls, and some silver wear. I picked it up really cheap at the thrift store, and it lives at work. If we have cake, I’m covered. Neighbors having a BBQ, we’re there with plates in hand. Food truck is down the street, BYOP. This avoid so much waste! When I see people tossing the paper plates, it makes me really sad. It takes about 30 seconds to wash a plate. Do you have someone who lives close to you? Can you carpool or ride your bike or walk? I carpool every morning, unless either of us have a dentist or doctor’s appointment. Some larger companies even have ride share programs. Maybe you could even set one up! You knew this one was coming. If you have to print out lots of paper, and I’m sure you do. Try to make most of it double sided. It is way cheaper to pack your lunch than it is to buy it out every day. Most everyone I work with goes out to lunch everyday. It always entails lots of packaging and styrofoarm plus it has to be expensive! I go out 2-3 times a month as a treat. My average tab is $8-12. Which means on average each person is spending an extra $2,600 a year! That’s a nice vacation. I would much rather eat a healthier, waste-free, packed lunch and go on a nice vacation – wouldn’t you? something large my worms can’t handle, I put it in the freezer for when I see my friends with municipal compost. I love to be office granny. 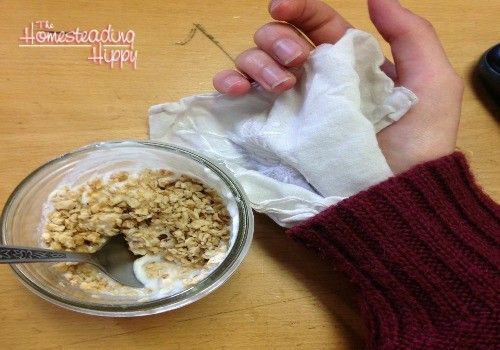 I always have a handkerchief in my bag… or up my sleeve. And, it’s much more elegant in my opinion. 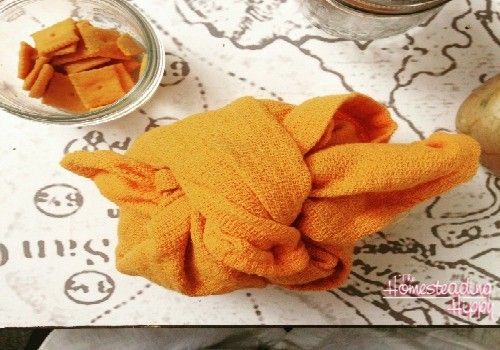 can also use that hanky up your sleeve, or wipe them on your clothes. minute walk, but it’s nice to get out in the fresh air and stretch. It will improve your mood greatly! You can follow along with me at my on instagram, bloglovin’, or Facebook.